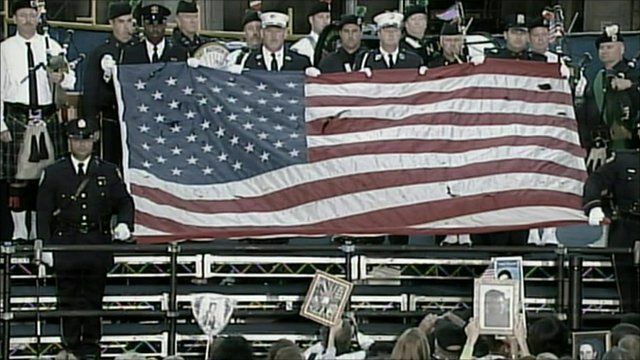 Key moments from 9/11 anniversary Jump to media player The US is marking nine years since 9/11 amid controversy over plans for an Islamic centre near Ground Zero and a threat to burn the Koran. 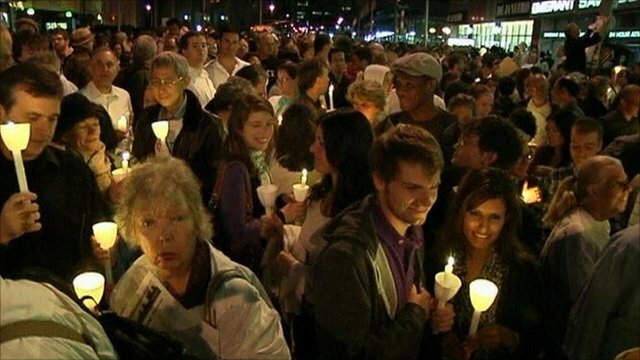 Hundreds rally in New York Jump to media player Hundreds gathered in New York City on the eve of 9/11 and the last day to Ramadan to rally for a proposed Islamic community centre near Ground Zero. 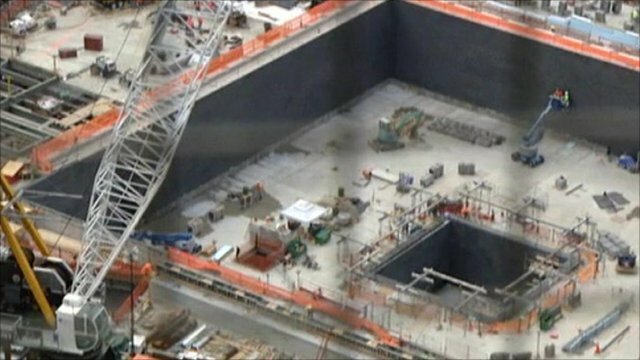 The US has marked nine years since 9/11 amid controversy over plans for an Islamic centre near Ground Zero and a threat to burn the Koran. 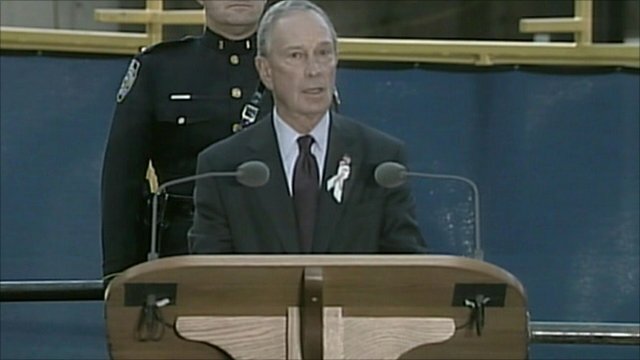 Services were held at each location where the planes crashed and the names of those who died were read aloud at Ground Zero. President Barack Obama urged respect for other religious faiths and paid tribute to those who lost their lives, during a speech at a service at the Pentagon. There were also one-minute silences to mark the moment when the World Trade Center towers were hit and the time at which each tower fell.